Call it a $285 million shot across the digital payments bow. A new embrace of high tech, and a notable one for a famed investor known for his old economy picks. Maybe it’s a $360 million volley. And the buyer? He’s no slouch, as his picks have racked up billions of dollars in profits over several decades. We’re talking about Warren Buffett, of course. News came early this week that Warren Buffett’s Berkshire Hathaway (the international conglomerate) is aiming to invest as much as $285 million to acquire a stake of as much as 4 percent in One97 Communications, the company that owns and runs Paytm, the digital payments/financial services firm. At this writing, there seems to be some range over just how much Berkshire is gearing up to invest. Some sources cite the $285 million number, while CNN has reported $360 million. The numbers may be, as yet, a bit nebulous, but the intent seems clear. By buying the One97 stake, Buffett makes a second foray into India’s tech-heavy landscape. It is not in fact his first time in this market, as seven years ago Berkshire debuted an online distributor in that market, which in turn sells offerings from Bajaj Allianz General. The market as a whole is an attractive one for commerce and eCommerce, and for companies focused on innovation. In the midst of demonetization, an effort that has stretched back roughly two years, Paytm has racked up 300 million users of the mobile payments offerings. Bain has estimated that eCommerce has taken root, with 390 million users transacting online. The government itself has been eyeing a shift in eCommerce rules, it was reported earlier this month, and that shift is believed to be one where a draft document has called for “domestic digital firms to find their rightful place” and “leveling the playing field for foreign players and domestic startups.” With the caveat that such language is only draft language and may not make it into any final documents, the framework would also allow for players like Walmart and Amazon, seeking to widen reach in the country. For Buffett – or at least his investment vehicle (Monday morning indications were that he is not a direct investor in the One97 stake) – the transaction works on a few levels concurrently. First, it is play on the broader economic shift mentioned above, which eschews cash in favor of bits and bytes and taps into a spending trend (i.e. greater time spent online – and more money spent online, too, amid high connectivity rates). The investing giant also gets into other investors’ mindsets, leveraging their own experience with technology. As reported last year, the Indian payments firm raised $1.4 billion from SoftBank, based in Japan. SoftBank invests in a range of verticals, but has sizable presence in mobile tech and communications. Paytm’s roster of backers also includes Alibaba and Ant Financial, the Chinese firm’s financial services affiliate. 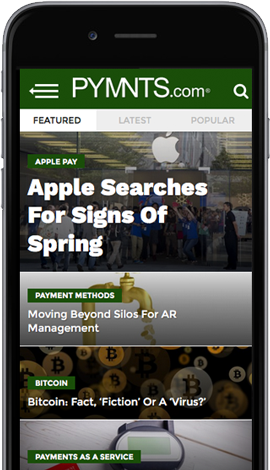 By dint of being a 5 percent investor in Apple, Berkshire (and by extension, Buffett) has some insight into what it takes to get a mobile payment and digital wallet offering in place and how to (and how not to) go to market. That alone should be enough to dispel the oft-repeated conventional wisdom that Buffett et al. does not invest in tech stocks (and, to be fair, the day-to-day decision making is being done by four executives who are, well, not Buffett). Among Berkshire’s largest holdings, at least as measured at the latest year end, those flanking Apple have been in Wells Fargo and Bank of America, and there are of course forays into Amex, Visa and Mastercard. Thus, the new Paytm investors have been around the banking block a bit, and have seen how cash translates into digital banking, if the critical mass and right technology dovetail – and how growth moves across borders. Finally, consider the fact that rather recently, at the end of the May, news came that Berkshire had offered $3 billion in Uber – itself a gesture after SoftBank had invested in the ride-hailing firm at the beginning of the year (perhaps there is a pattern here). In the end, the Paytm stake is not a huge one, but for Berkshire it’s a foothold in a nascent market with a path charted by some other savvy (and large) investors. When you’ve got $100 billion in cash to deploy, watching and waiting and scaling seems at times a prudent strategy.